Hello and welcome to my blog. Today I have a beautiful card to share with you using the Peaceful Noel stamp set. And yes I know it's only September, but it's definitely not too early to get a start on making your Christmas cards. 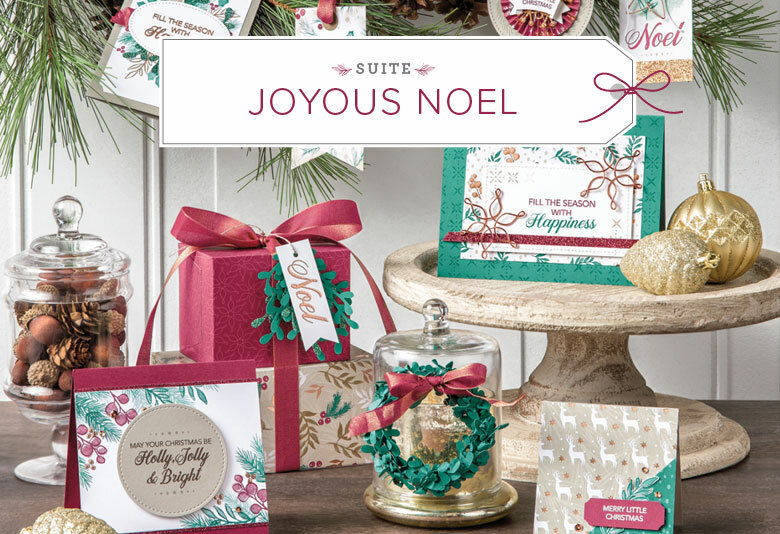 The Peaceful Noel stamp set is part of the Joyous Noel Product Suite. This product suite has the most amazing foiled designer series paper and a beautiful stamp set to just name two things. There is so much product in this suite to fall in love with.